If you require complete kitchen plumbing services in Orange County area, contact Orange County Plumbing Heating & Air Conditioning. We have been serving Orange County for over 50 years and earned the reputation of a trustworthy and dependable plumbing contractor. The kitchen has a special place in the proper functioning of your whole household. It is called the heart of a home serving as a meeting and dining spot for family and friends. That’s why it is important to keep your kitchen in the best working condition and make sure that the numerous kitchen plumbing fixtures and pipes are free from leaks, clogs, and other issues. Some upgrades to your kitchen’s plumbing are also necessary to renew your kitchen’s look and functionality. 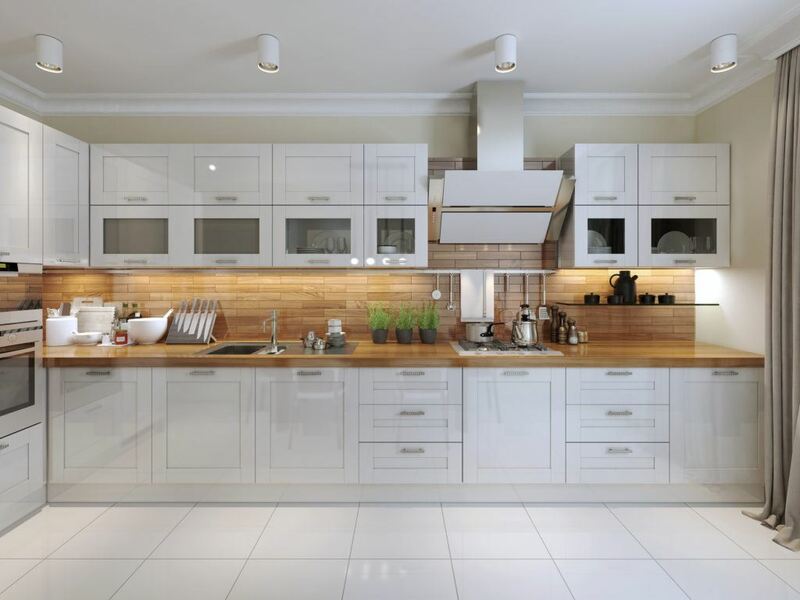 Your kitchen is usually stuffed with domestic electric appliances such as the washer, dishwasher, garbage disposal, as well as various plumbing fixtures, drain lines and so forth. It is a complicated mechanism in itself, requiring proper plumbing services. Such services can only be provided by experienced, knowledgeable and fully insured plumbers, like those at Orange County Plumbing Heating & Air Conditioning. We can handle various repairs, maintenance, and new installations that need to be done to keep the plumbing in your kitchen operating like a clock. Since the kitchen is probably the most used room in your entire home, its pipes and fixtures are subjected to slow deterioration unless they are regularly checked and properly maintained. Some plumbing issues in the kitchen are hidden such as hidden leaks; however, they are really dangerous and might cause severe water damage to your property. Call our plumbers to diagnose the leaking fixture on time and fix it if needed by one of our plumbers. At Orange County Plumbing Heating & Air Conditioning every aspect of kitchen plumbing is covered – everything from faucets and sinks, to fixing those leaky or broken water lines. Your kitchen fixtures (sinks, faucets, dishwashers) and clogged drains will be repaired quickly upon your request. So if your kitchen plumbing appliance needs repairs, you can count on us to deliver excellent services at an affordable price. If you ever find yourself in need of plumbing services for your kitchen, contact Orange County Plumbing Heating & Air Conditioning and we will ensure quality kitchen plumbing installation, repairs, and maintenance at Orange County.